Our health system includes three of the top-rated hospitals in the area; more than 20 clinics and three Urgent Care facilities. To find a treatment location near you, please visit our health system map. 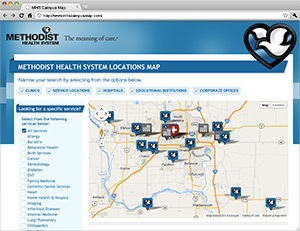 From the health system locations map, you can search for specialty services or clinics.